With the support of funding from the Community Foundation for Ireland Hospital Family Resource Centre worked with a group of volunteers to produce a Directory of Services for Older People. This invaluable resource has lots of information from services, supports and activities for older people in the area, including transport, social activities, health information and lots more. 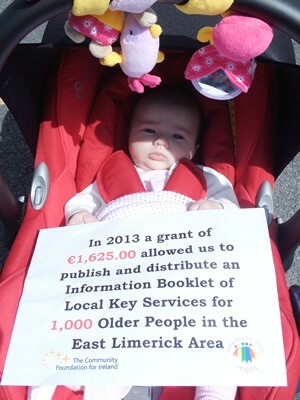 If you would like a copy contact the Family Resource Centre on 061383884.